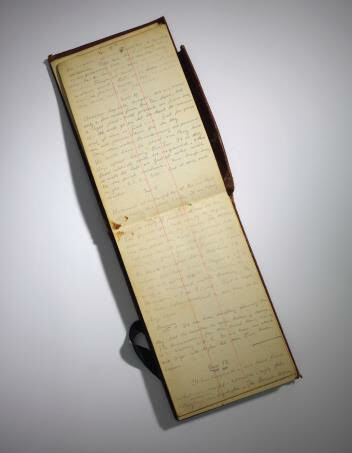 December – On 12 December, as part of Classic Week, Christie’s auction of Books and Manuscripts will offer two extraordinary sledging journals of the Norwegian polar explorer Tryggve Gran, who accompanied Robert Falcon Scott on the Terra Nova Expedition of 1910 – 1913. 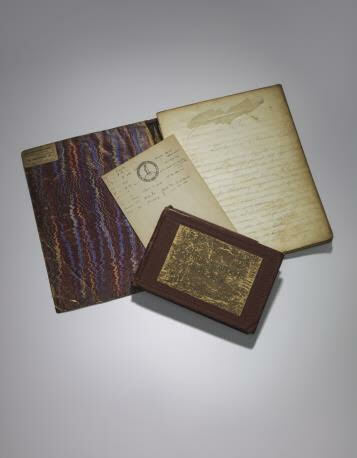 The journals have passed by direct descent from Tryggve Gran; their appearance at auction represents a remarkable opportunity to acquire an authentic piece of Polar history, offering an insight into the trials and tribulations of the British Antarctic Expedition here. Featuring two separate journals, one in English and one in Norwegian (estimate: £120,000 – £180,000, illustrated above), these accounts offer additional material, covering his astonishingly prescient dream on the night of 14 December 1911 of Amundsen’s triumph, as well as the search for Scott’s polar party and tragic discovery of the tent. 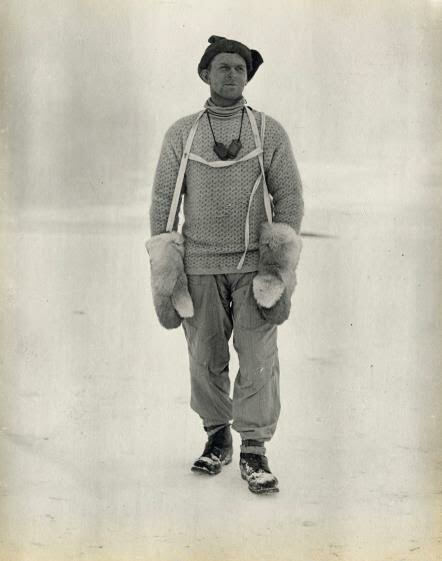 The young Norwegian Tryggve Gran was recruited by Scott as a skiing expert for the Terra Nova Expedition on the recommendation of the explorer and humanitarian Fridtjof Nansen. He would go on to play a valuable role in the second geological expedition (November 1911-February 1912), which collected data in the Granite Harbour region. “Campo Santo”. In a tent – snowcovered til up above the door we found the three boddies [sic]. The Owner in the middle, half out of his bagg [sic]. Birdie on his right and Uncle Bill on left laying headway to the door. The frost had made the skin yellow & transparent & I’ve never seen anything worse in my life. The Owner seems to have struggled hard in the moment of death, while the two others seem to have gone off in a kind of sleep’. Gran retrieved their personal effects and records, and used his own pair of skis to fashion a cross, raised above the snow cairn built to cover the bodies of the ill-fated polar party, before returning to camp on Scott’s skis, reasoning that at least his expedition leader’s skis would finish their journey. In December 1912, before leaving Antarctica, Gran he made an ascent of Mount Erebus with Raymond Priestley and Frederick Hooper, and was lucky to escape with his life after an unexpected eruption set off an avalanche of the surrounding pumice stone. Gran went on to receive the Polar Medal for his endeavours in Antarctica. Christie’s will present the autumn edition of The Collector sales on 13 and 14 November in London; an array of decorative arts and furniture ranging across: English Furniture, Clocks & Works of Art; European Furniture, Works of Art & Ceramics, and Silver & 19th Century Furniture, Sculpture & Works of Art. In celebration of the diverse styles and origins of the pieces within the auctions, Christie’s has partnered with avid collector and aesthete Mark-Francis Vandelli, a television personality known for his eccentric and exacting taste, to curate his selection of the sales within The Collector preview, open to the public from 9 to 12 November at the London King Street Galleries. Bringing theatricality and flair to Christie’s sale rooms, Mark-Francis has designed a series of film set-style vignettes; a Manhattan penthouse, a Parisian hôtel particulier and a Roman palazzo. Selected not only in recognition of their status as centres of cultural enlightenment, the recreation of interiors from the three iconic cities reflect the formative locations in which Mark-Francis developed his own aesthetic and appreciation for decorative arts. Christie’s announces the spring sale Interiors: New York Visions taking place on June 6, 2018 in New York. The auction encompasses collections from three celebrated style and design icons including The Estate of Kenneth Jay Lane, The Collection of Arnold Scaasi and Parker Ladd, and Robert Couturier: Elements of Style, presenting over 350 lots of decorative art and fine art from their collections. Additionally, over 30 signed pieces of jewellery are being offered from the Kenneth Jay Lane, Inc. Archives including a selection shown at the Rhode Island School of Design exhibition, Fabulous Fakes: Jewelry by Kenneth Jay Lane (2007-08). The full sale will be on view at Christie’s New York June 2-5. Surrounded by decorative arts and Orientalist paintings hung salon-style in his double-height living room, Lane inhabited a unique mise-en-scène. Included in the sale are 150 lots from his collection spanning contemporary and 19th century fine art, European and English furniture, continental silver and ceramics, Asian works of art, costume jewellery and memorabilia. The sale will benefit WNET New York Public Media. Arnold Scaasi and Parker Ladd were passionate individuals who strove for excellence in their chosen careers. Mr. Scaasi attained acclaim as a couturier who dressed First Ladies, socialites and celebrities for five decades. Mr. Parker climbed the heights of New York’s publishing industry at Charles Scribner & Sons and the Association of American Publishers to work with some of the most celebrated authors of the second half of the 20th century. Together they collected a diverse group of fine art and decorative art that reflects their intellectual curiosity and exuberant approach to life. Included in the Christie’s sale is a selection of 20th century fine art and sculpture, including works by Louise Nevelson and Paul Jenkins, European furniture and decorative arts, silver and ceramics. Robert Couturier, renowned designer and architect, has maintained his place at the top of his profession for decades. Couturier’s curated eye balances his deep understanding of the classical, acquired at the Ecole Camondo in his native Paris, combined with his forward-looking appreciation of contemporary art, design, and photography. Christie’s has worked in close conversation with Robert to curate a selection reflecting his own inimitable and witty perspective, culling pieces from his fashionable New York apartment. Offered in the sale is a selection of 20th century photographs, design, including works by Jacques Adnet, Andre Sornay and Armand Albert Rateau, European furniture and decorative arts, silver, ceramics and glass, Asian works of art and carpets. Additionally, Robert will be co-hosting the Christie’s Lates event on Monday, June 4 in celebration of this sale.